My first purchase for a green dot laser pen! Super bright and beautiful! I intend to buy another one for my brother as his birthday gift. Given how cheap it is, I figured it's likely that it would be dead when arrived. But in fact, the laser pen works great! You can clearly see the beautiful light out of it. An awesome product. 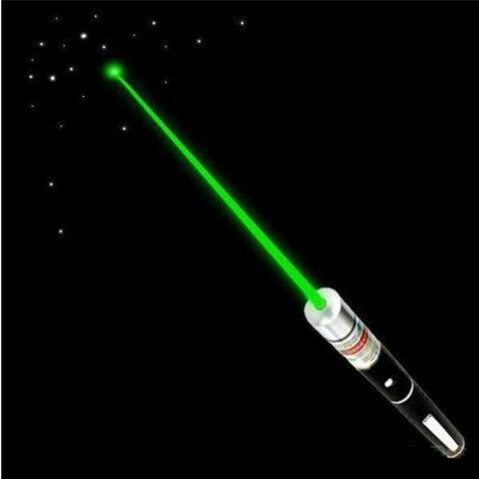 This is my first green laser pointer with spot light style. What I want to say is that the quality is satisfactory. Also, the delivery is fast and the item is well-packaged. For a laser pen powered by only two AAA batteries, it is very bright on the highest setting.I carry it nightly at work. For the price,it is an excellent product! Low price, nice laser pointer. I like it very much.